Detroit Red Wings legend Ted Lindsay died on Monday at the age of 93, and the public is being invited to pay their respects during a public visitation at Little Caesars Arena on Friday, March 8. The visitation will begin at 9:07 a.m. and continue through 7:07 p.m. on Friday. 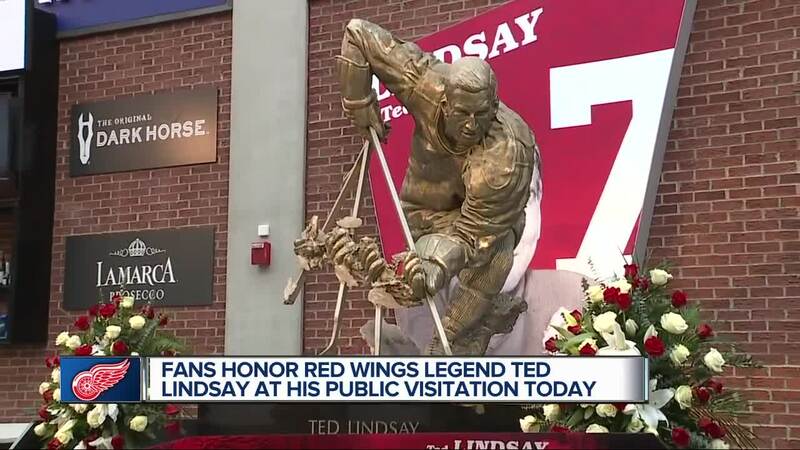 DETROIT (WXYZ) — Detroit Red Wings legend Ted Lindsay died on Monday at the age of 93 , and the public is being invited to pay their respects during a public visitation at Little Caesars Arena on Friday, March 8. The visitation will begin at 9:07 a.m. and continue through 7:07 p.m. on Friday. 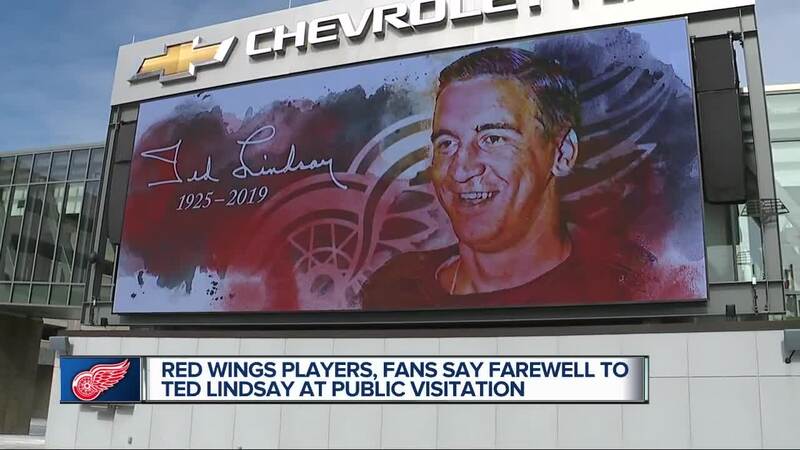 Where to enter: Fans can enter the building through the Meijer entrance at the southwest corner of the arena, where they can view the Ted Lindsay statue and sign a tribute banner to be presented to the Lindsay family. 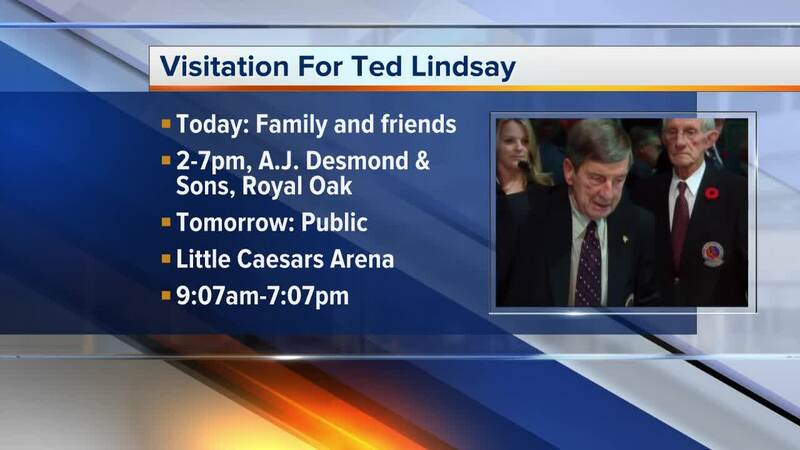 Other details: After going down the stairs or elevator to the event level, fans can walk onto the carpeted ice of Little Caesars Arena where Ted Lindsay will lie in state. Members of his family will be present to greet the public and various historical artifacts will be available for viewing throughout the arena. The funeral on Saturday is closed to the public and people are asked to only attend the public visitation. Donations: In lieu of flowers, the family asks that a donation be made to the Ted Lindsay Foundation .